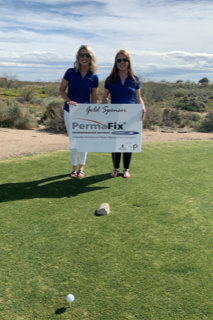 Perma-Fix is excited to announce that we joined together with the WM Symposia (WMS) to host our 12th Annual Charity Golf Tournament on Saturday, March 2, 2019 with a goal to raise charitable donations for two organizations and facilitate networking amongst members of the nuclear industry. This year, we are honored to support St. Jude Children’s Research Hospital and the Roy G. Post Foundation. With more than 140 golfers, our tournament successfully raised more than $35,000 for charity. Thank you to all of our sponsors and golfers for the generous donations and the continuous support. Perma-Fix Environmental Services, Inc. (NASDAQ: PESI) announced that Veolia Nuclear Services' (VNS) new 10-tonne GeoMelt® In-Container Vitrification (ICV™) plant, cooperatively installed and operated by Perma-Fix at the Perma-Fix Northwest (PFNW) facility in Richland, Washington, has successfully completed hot commissioning and its first in a series of demonstration melts for the US Department of Energy (DOE) Idaho National Laboratory (INL) to treat sodium contaminated radioactive wastes. 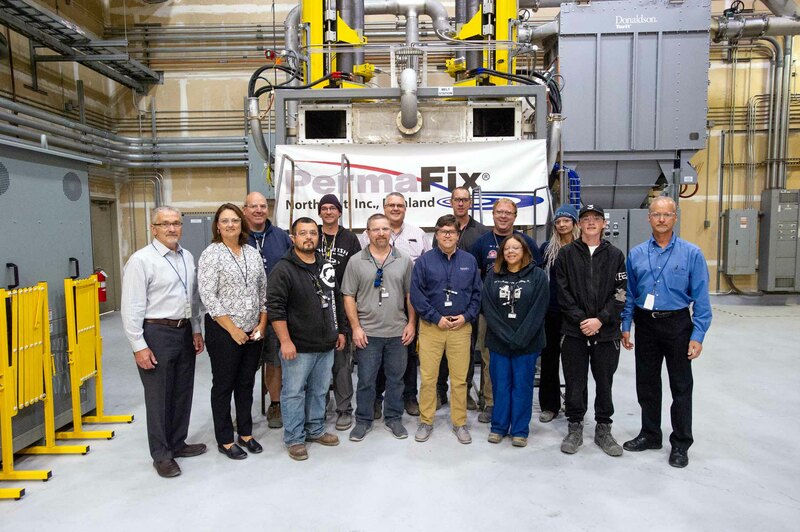 Mark Duff, Perma-Fix President & CEO, stated, "I am pleased to report we successfully completed hot commissioning and an important demonstration project for the US Department of Energy Idaho National Laboratory to treat sodium contaminated radioactive wastes. 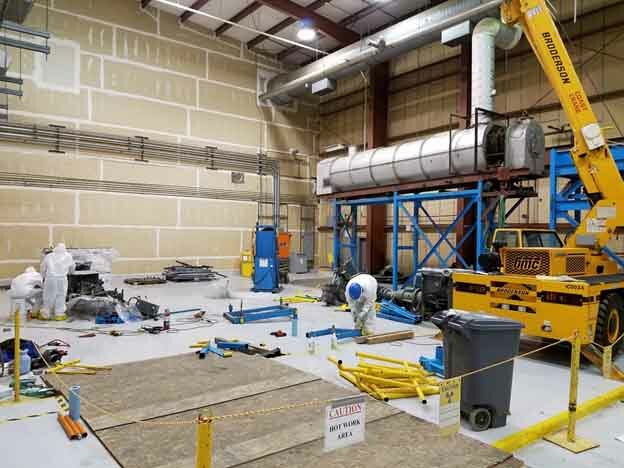 Expanding our PFNW facility to accept and treat sodium contaminated radioactive wastes provides an outlet for these wastes that is not currently available. This successful demonstration marks an important milestone in our partnership with Veolia Nuclear Solutions and illustrates the unique nature of our facilities, permits and capabilities. Importantly, we continue to execute on our strategy to broaden our market base by treating complex waste streams through new technologies and partnerships within our industry." The DOE Office of Environmental Management (DOE-EM) is conducting a 2,000-gallon Test Bed Initiative (TBI) to demonstrate the feasibility of options for retrieval and treatment of the low activity portion of the tank waste at the Hanford Site in Washington State. Previously, DOE-EM conducted a proof-of-concept demonstration using 3-gallons of Hanford tank waste and a slightly modified technology. This TBI is a larger scale test of 2,000 gallons of Hanford tank waste using the technology chosen in the currently-planned demonstration facility. The initial 3 gallon test, completed in December 2017, demonstrated that Hanford tank waste could be successfully pretreated, transported to Perma-Fix Environmental Services Northwest (PFNW) for stabilization, and disposed of as treated LLW in a solid waste form at WCS FWF. 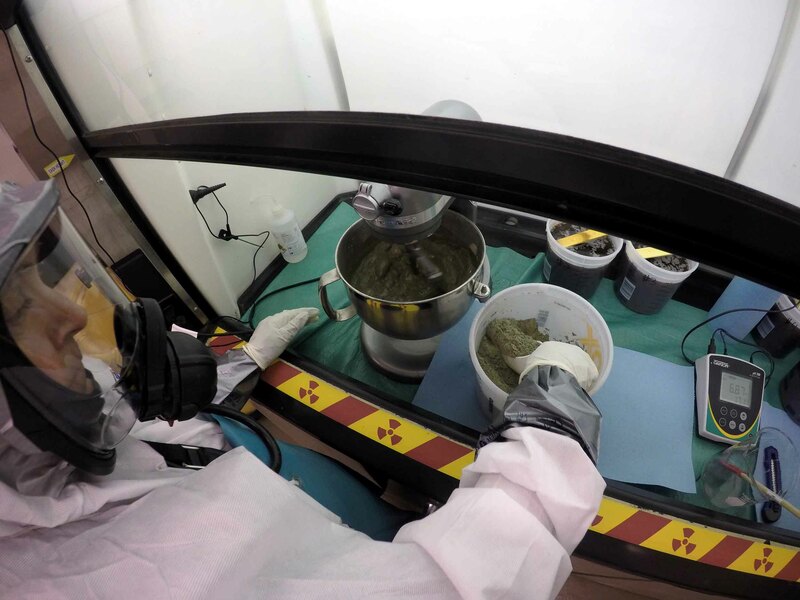 Approximately three gallons of tank waste were pretreated using filtration and ion-exchange at Hanford's 222-S Laboratory, operated by Washington River Protection Solutions (WRPS), to remove suspended solids and cesium. Following stabilization at PFNW, the resulting material was determined to be LLW in accordance with the Waste Incidental to Reprocessing (WIR) requirements in DOE Manual 435.1-1, and complied with federal and state regulatory requirements. The Savannah River National Laboratory performed an evaluation to assess the viability of disposing of Hanford treated tank LLW at WCS FWF and concluded that, DOE could potentially accelerate Hanford's tank closure efforts if commercial treatment and disposal facilities were included as an alternative for managing Hanford tank waste. 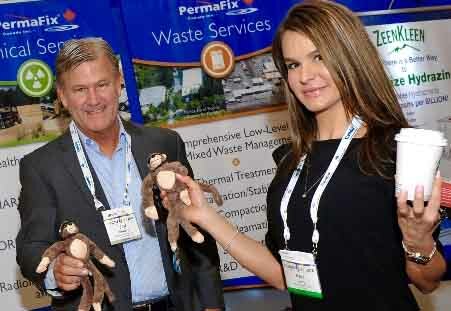 Perma-Fix held the 16th Nuclear Waste Management Forum at the Gaylord Opryland Resort & Convention Center November 26th through 28th in Nashville, Tennessee. The forum focused on the exchange of information related to the nuclear industry's waste management objectives and programs providing industry leaders an opportunity to network with experts from a variety of U.S. and international waste generator sites, government officials, and other small and large businesses. Many thanks to the 190 attendees, including our clients, sponsors, and outstanding presenters, that made this year's forum a great success. The forum hosted a variety of speakers representing Nuclear Utility Plants, International Entities, and U.S. DOE programs including the Office of Environmental Management (EM), the National Nuclear Security Administration (NNSA), and the Office of Science (SC) all with vested interests in the area of radioactive decommissioning and waste management. 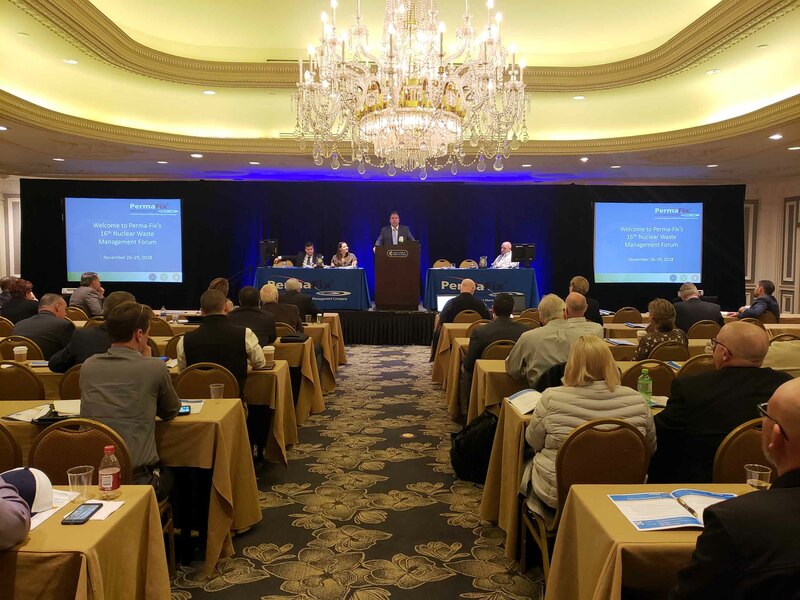 Our 2018 forum panels consisted of Decontamination, Decommissioning, and Remediation; Waste Management Initiatives for National Laboratories; Continuous Improvements Through Lessons Learned; Working to Solve Transportation, Packaging, and Characterization Challenges; Disposal Site Updates; Perma-Fix Expanding to Meet Waste Treatment Challenges and Provide Turn-Key Solutions For Our Clients; and Regulatory Training. Through the 2 days of sessions, attendees learned about the latest technologies and applications regarding waste characterization, packaging, treatment, transportation, and disposition while sharing lessons learned that could improve safety and efficiency for their projects. The evening events were hosted at local entertainment venues providing the optimal environment for casual networking. 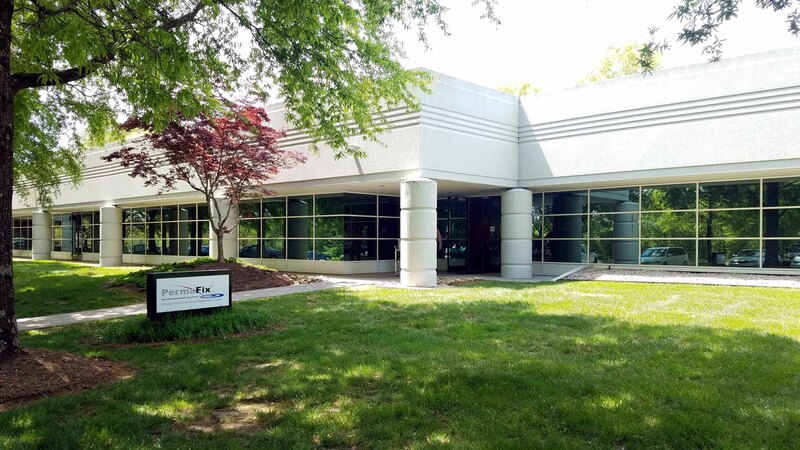 The East Tennessee Materials & Energy Corporation, Inc. (M&EC) entity has relocated classified operations under the recent footprint expansion at the Perma-Fix Diversified Scientific Services, Inc. (DSSI) facility in Kingston, TN. The first shipments of classified waste to the new facility in Kingston, TN were successfully received in September 2018. Due to the relocation of classified operations from a DOE controlled site to a totally commercial site, M&EC revised and developed more than 15 plans and procedures for DOE's review and approval and had to "pass" a DOE security review of the new facility. Personnel with security clearances were required to complete training on the new plans and procedures and become familiar with Operational Security (OPSEC) elements and Security Condition (SECON) Program security threat levels as dictated by DOE and the Department of Homeland Security. On August 2, 2018, DOE-OR staff approved continuance of classified operations at the newly located facility. 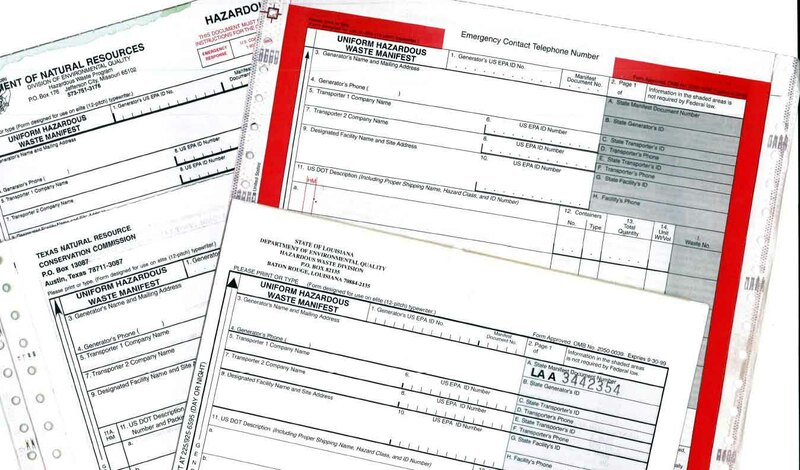 M&EC has more than 20 years of operational experience dealing with classified matter and will continue to receive and manage classified matter up to the secret restricted data (SRD) level adhering to all DOE safeguards and security requirements and will operate in full compliance under DSSI's State of Tennessee issued RCRA Part B permit and Radioactive Materials License. Perma-Fix is excited to continually expand capabilities to support our clients' needs! 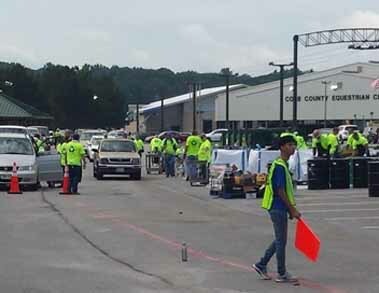 Perma-Fix was awarded a contract by the Gwinnett County Purchasing Division in Georgia as the selected vendor for its Household Hazardous Waste Event for the Department of Support Services. This event was established by the Gwinnett Clean & Beautiful, Gwinnett County Department of Water Resources, and Gwinnett County Solid Waste Department to provide its residents with a safe and environmentally responsible path forward for the disposition of their household hazardous waste. Perma-Fix serviced more than 800 vehicles and offered a safe outlet for a variety of wastes that could prove harmful to the environment. Wastes collected include: • Flammables (4.2 tons) - including oil based paints, stains, thinners, paint strippers, solvents, varnishes and wood preservatives. These hazardous fuels will be blended to a specification allowing them to be used as a fuel in the production of cement. &nbs;p • Lawn Care Products (2.8 tons) - including poisons, insecticides, weed killers, and pesticides. These hazardous chemicals will be sent for thermal destruction to a permitted incinerator. • Automotive Products (1.9 tons) - including used oil, antifreeze and batteries. These items will be recycled. • Cleaners (1.2 tons) - including spot removers, acids and bases, and oxidizers. These hazardous chemicals will be neutralized and/or sent for other treatment to a permitted treatment storage and disposal facility. • Mercury (.5 tons) - including elemental mercury, thermostats, thermometers, and fluorescent bulbs and lamps. These hazardous items will be sent for recycling and mercury retort. • Latex Paint (17.6 tons) - including all latex and water-based paints and products. These non-hazardous special wastes will be sent to an approved disposal facility. • Other Misc. (.2 tons) - including other items such as propane cylinders and fire extinguishers. These items will be sent for recycling. Perma-Fix is pleased to have been part this community event and is looking forward to supporting Gwinnett and neighboring counties in the Atlanta Region for future events. 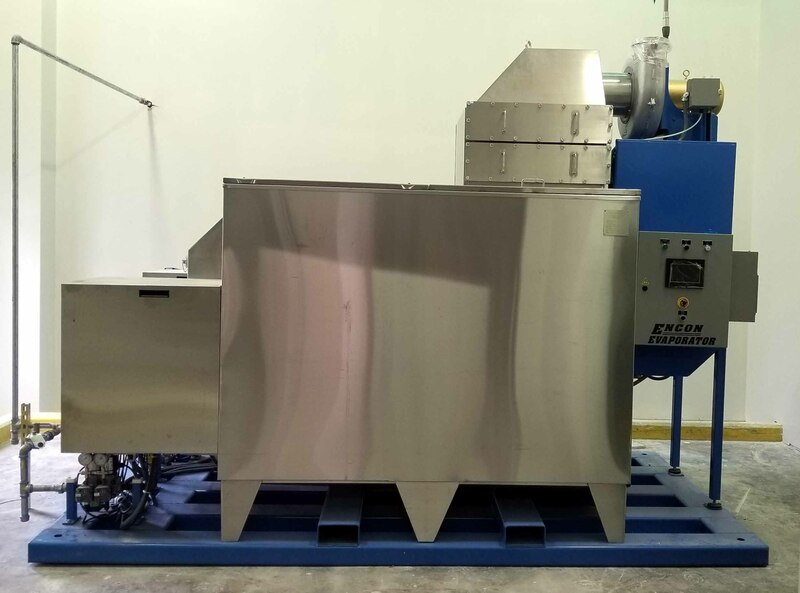 The Perma-Fix of Florida (PFF) facility has unveiled its new state of the art evaporator system providing ideal solutions for low level radioactive, non-hazardous waste waters. The PFF evaporator provides significant volume reductions for minimal landfill impact, saving the customer significant transportation and disposal costs. PFF's trained staff allows for preliminary and final treatment of the water/residue to ensure land disposal restriction (LDR) compliance of all waste streams. Perma-Fix facilities Perma-Fix Northwest (PFNW) and Diversified Scientific Services Inc. (DSSI) are entering the radioactive contaminated reactive metals deactivation business, and although they are taking different paths to meet the RCRA standards, they share in the commitment to ensure both employee and public safety throughout the process. 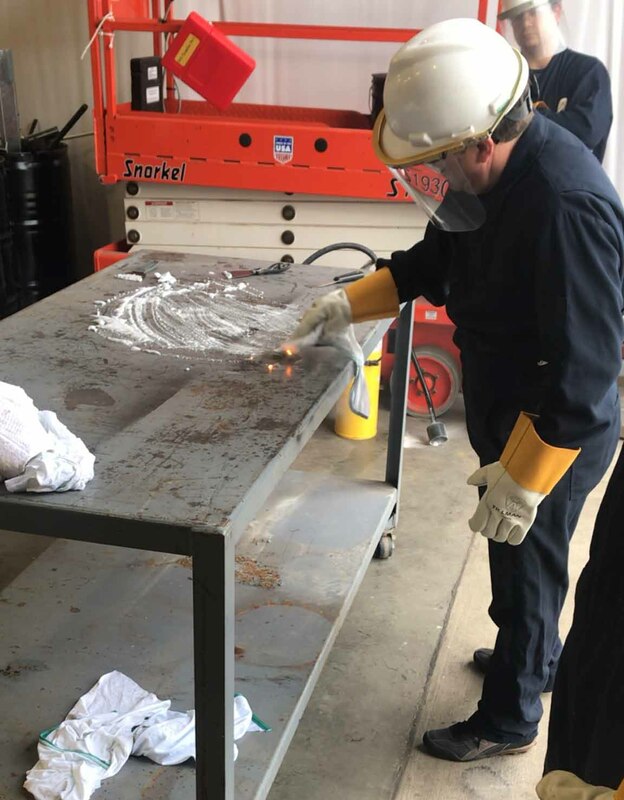 As part of the training, a sodium-potassium alloy (NaK) was reacted with water and then, under controlled conditions, was ignited, spilled, and tools were contaminated with it so that the class could learn firsthand how to handle and respond to the emergency. Since sodium is a topic close to the hearts of the employees of both facilities, Creative Engineers took out some bricks of sodium to show they were safe to handle provided there was no water present at the time. Attendees included Facility Managers Joe Crider and Richard Grondin, operations personnel Dakin Utley and Troy Cooley, as well as DSSI Health and Safety Manager Chasity Boatwright. 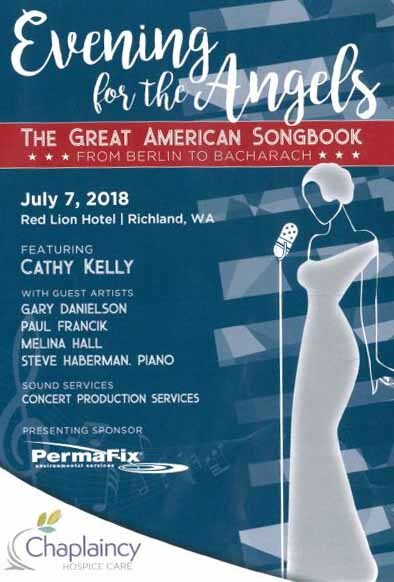 Perma-Fix Northwest sponsored the Evening for the Angels, a themed event featuring "The Great American Songbook, from Berlin to Bacharach" on July 7, 2018 in Richland, Washington to support Chaplaincy Hospice Care. The Chaplaincy Hospice Care is a recognized source for expert guidance and compassionate, spiritually-rooted care in times of crisis, grief, and healing. The night featured performer Cathy Kelly as well as guest artists Gary Danielson, Paul Francik, Melina Hall, and Steve Haberman. The event was supported by approximately 300 attendees. On March 23, 2018, Perma-Fix was notified by Cobb Country in Georgia that we were selected as the vendor for its Household Hazardous Waste Amnesty Day. Citing our well-prepared bid, the Executive Director for Cobb County stated we were "best suited for our program and budget." Over the ensuing months, Perma-Fix planned for the event and worked closely with the County-s Parks Department to make sure the event would be a success. On June 23, the day of the event, the weather could not have been any better for this suburb of Atlanta, with temperatures in the mid-80s and no rain. We knew the event was going to be well attended even before it started - at 8 a.m. there was already a long line of cars encircling Jim R. Miller Park and the event was not scheduled to officially start until an hour later! In all, over 1,000 vehicles brought approximately 33,000 pounds of hazardous chemicals and over 40,000 pounds of latex paint. Residents from Cobb County turned out in full force in their cars, pickup trucks, and SUVs to take part in this worthwhile event. Perma-Fix and County employees were well equipped to keep the vehicles moving through the line in a safe and orderly manner. 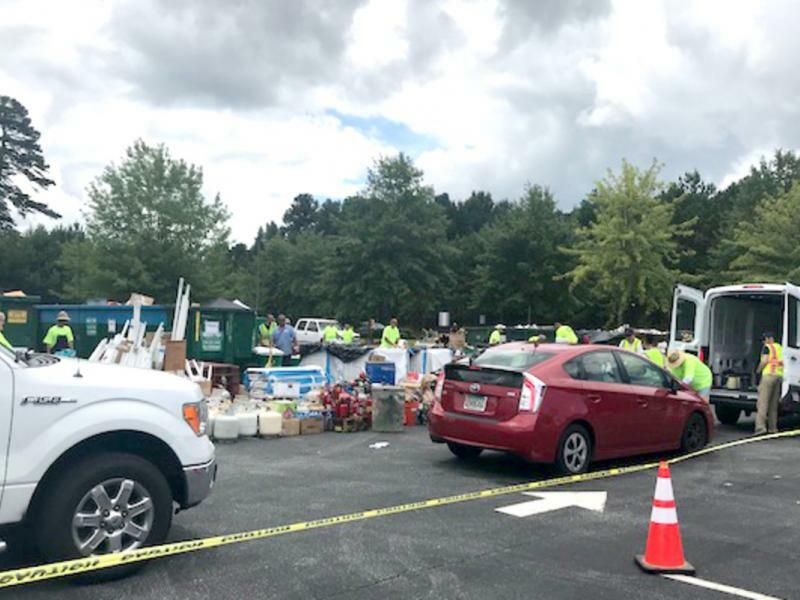 In addition to pesticides and other household hazardous waste collected during the one-day event, fluorescent tubes, batteries, and thermometers were also accepted for recycling. 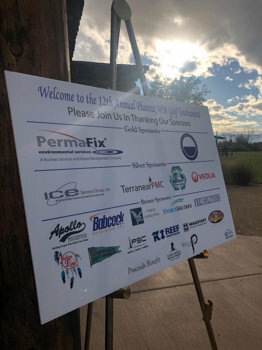 Perma-Fix President and CEO, Mark Duff also participated in the event. He commented "I think that the residents of Cobb County are really aware of their environment and they want to protect the beauty of their county. It is a perfect fit for us to partner with these communities and offer our waste recycling and disposal services because we want to be responsible stewards of the environment. That is one of our core values. Perma-Fix will soon open a certified radiochemistry laboratory in a new comprehensive oil and gas (O&G) waste facility in Friendly, West Virginia. Perma-Fix staff have provided health physics and waste management services to O&G exploration and production companies in Pennsylvania, Ohio, and West Virginia for the past eight years. Because of the reputation Perma-Fix has built in the region's O&G industry, SECUR LLC sought out Perma-Fix to provide health physics support and design, build, and operate a one-of-a-kind on-site radiochemistry lab at their Ben's Run Oil and Gas Materials Management Facility. 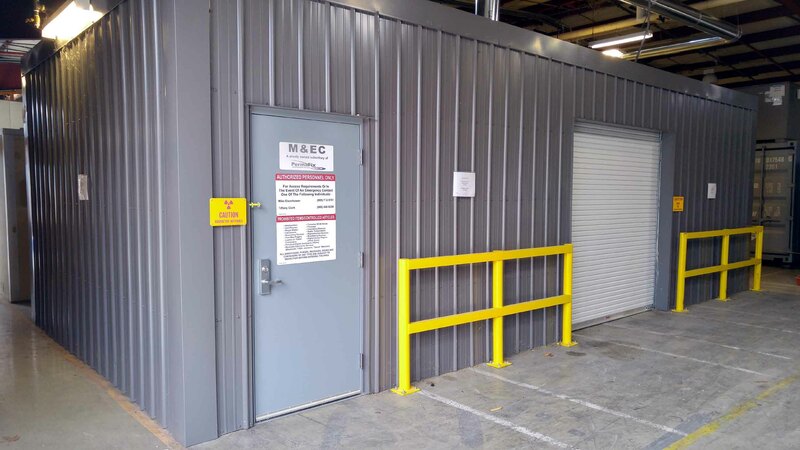 The need for an on-site lab is the result of recent rule changes in West Virginia requiring every load of waste (usually a roll-off container) to be sampled and analyzed for total radium activity concentration. The method of choice for analysis is gamma spectroscopy. 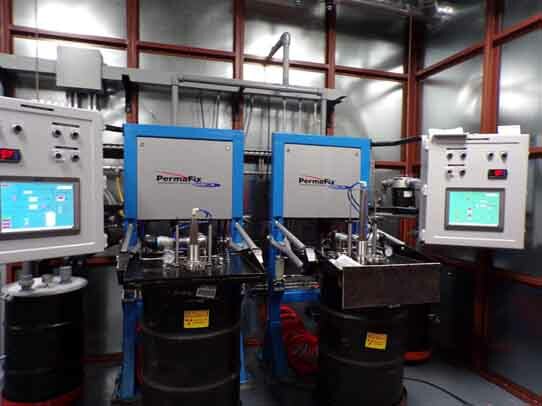 Perma-Fix has ample experience in setting up on-site labs to perform gamma spectroscopy, having done so at various decommissioning sites across the country. However, the Perma-Fix Friendly Laboratory will be unique in that Perma-Fix will operate the lab independently and can analyze samples from commercial clients across the country. Currently, two Canberra gamma spectroscopy systems along with an automated sample changer are in place. Certification for gamma spectroscopy of solid samples by the State of West Virginia has been applied for, with future plans to achieve additional state and federal certification. Additional systems and analyses will also be added to the lab. 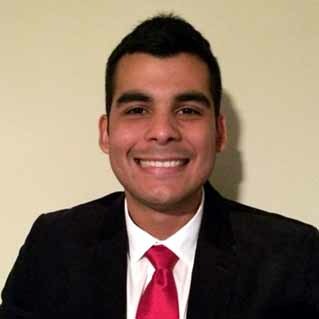 Perma-Fix employee Jesus Zamora, an outstanding nuclear engineer from the University of Florida, will manage the lab Perma-Fix anticipates obtaining certification this June, and interviews for an additional analyst are underway. Design, construction, and testing is complete on a processing system used to deactivate residual reactive sodium contained in drums. The processing system is contained within a temperature and humidity controlled enclosure located in the DSSI processing facility. Conceptual and engineering design as well as fabrication and construction of the system were completed by DSSI employees. On Jan 3, 2018 the U.S. Environmental Protection Agency (EPA) signed the final ruling for the implementation of E-manifest submission required on all hazardous waste shipments. This ruling will require all manifests to be submitted and signed electronically starting in June. Perma-Fix is here to help all of our customers in this transition. Perma-Fix is committed to educating our staff and our customers to ensure compliance and satisfaction in our handling of waste from pick up to final disposal. "New regulations always present the potential for business disruption, but with Perma-Fix as your waste management solutions provider we will reduce any hurdles or learning curve you incur in the transition. The eventual benefits of the new system will be worth the effort in changing the way we track shipments of hazardous waste" explains Perma-Fix of Florida EHS Manager, Kurt Fogleman. 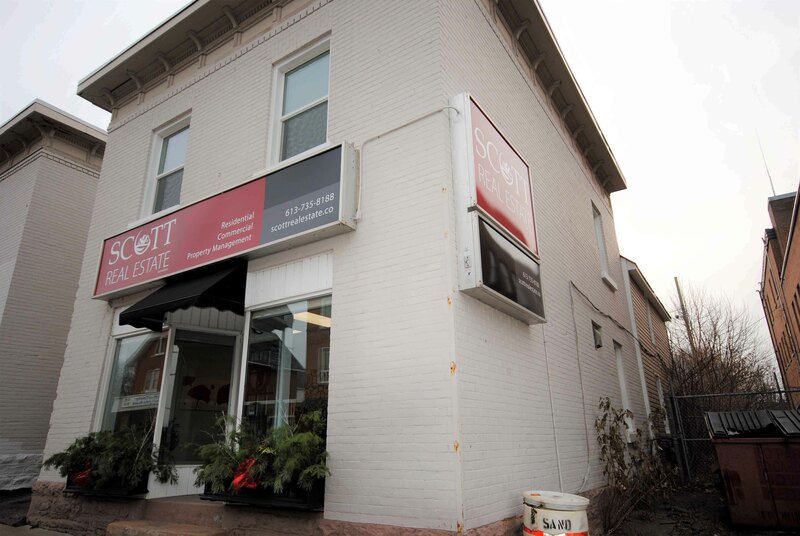 Perma-Fix Canada is proud to announce the opening of our new office in downtown Pembroke, ON, Canada. The office is in very close proximity to Chalk River Laboratory facility where we are presently providing radiation protection personnel and waste management consulting services. This office will serve as our Perma-Fix Canada Operations Headquarters. 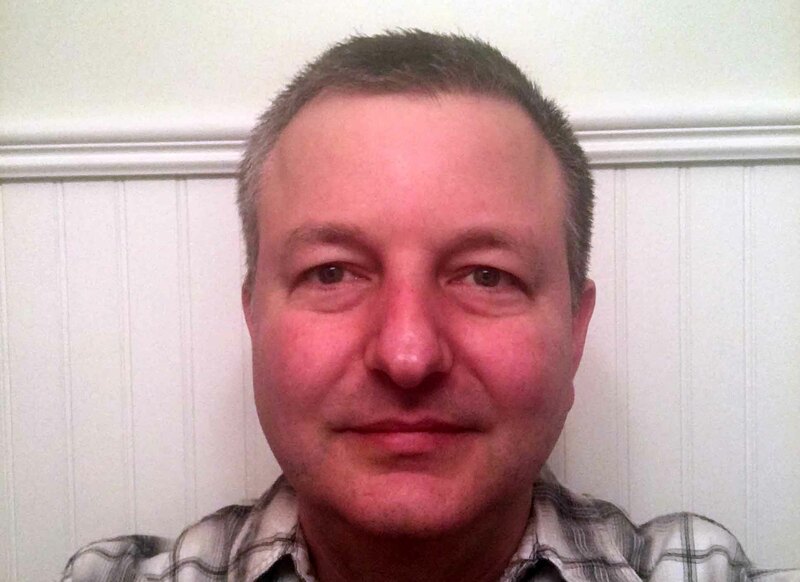 Congratulations to Scott Walnicki for achieving certification by the American Board of Health Physicists. Scott has been a member of our Technical Services Group for over 15 years and his certification brings our total to 6 full time CHP's on staff. PFNW, Perma-Fix's Richland, Washington facility, hosted an emergency response drill on Wednesday, March 21st. Why hosted and not held? Because at the direction of Assistant General Manager and ESH&Q Manager Curt Cannon, it was a joint drill which also involved a combination of the Richland, Pasco, and Kennewick Fire Departments. "The drills are a requirement as part of our regulatory compliance and, whenever we can, we like to involve the local agencies," says Curt. 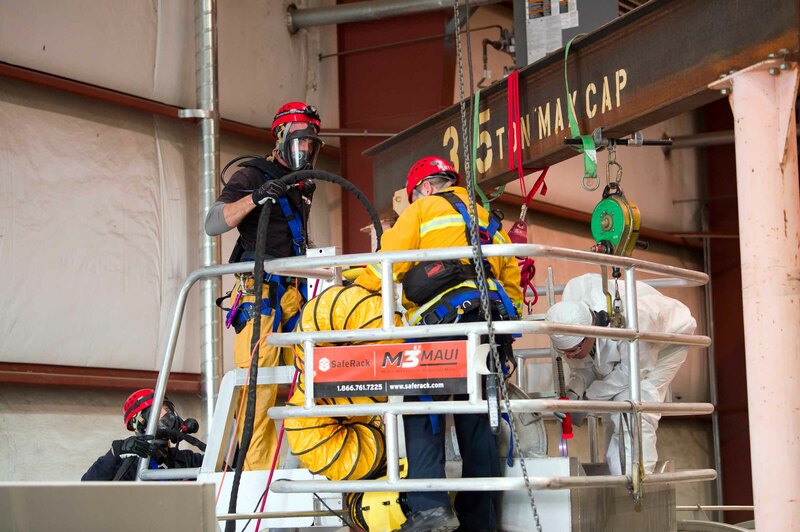 The drill involved a simulation in which a pair of employees entered a tank to perform clean out and survey operations and were later found unconscious inside it. Coordinated by PFNW responders, fire department responders were called rescue operations were undertaken to retrieve the entrants. 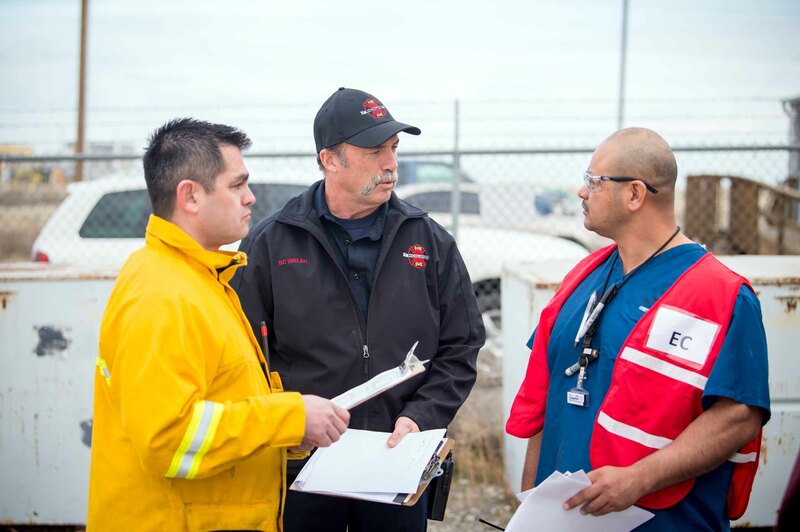 Throughout the operation, Perma-Fix employee Jesse Romero, who is an actual on site Emergency Coordinator, as well as a Perma-Fix Low-Level Thermal Supervisor, choreographed the response, including the 911 call, air monitoring, incident scribe, and the initial retrieval operations that took place prior to the arrival of the fire department. Jesse worked closely with the collaborative departments to complete the rescue operation and render the incident safe and secure. Both entrants were safely removed from the tanker without incident. Perma-Fix appointed observers to record the good and the bad, and were given the opportunity to share the observations with Jesse and his team and foster the continuous improvement always strives for at the facility. Not only did PFNW employees learn a few lessons from the 25 emergency responders representing the Tri-Cities, but the responders themselves were quick to point out that they also gained some new insights as well. Great job to all those involved! Canada's Nuclear Advantage: The Next Generation in Ottawa achieved record attendance due to the emerging scope at Bruce Power and legacy remediation projects at Port Hope and Port Granby. Perma-Fix is well positioned for these initiatives and we are looking forward to future opportunities to serve our Canadian friends. 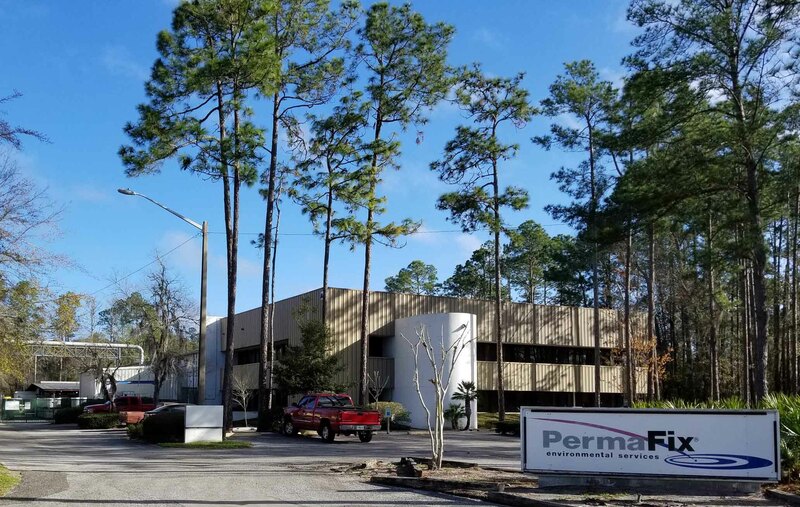 Perma-Fix of Florida (PFF), located in Gainesville, FL, reported a strong 2017 in their industrial segment and continues to see progress in 2018. In 2017 PFF received and processed 14% more drums than handled in 2016. This increase in waste acceptance kept industrial busy with processing about 1600 drums per month of hazardous waste. The PFF industrial segment has over 20 years of expertise in handling of wastes from a broad spectrum of generators including universal waste, spent paints and oils, medical and pharmaceutical waste, hazardous chemicals, and more. Kurt Fogleman, PFF EHS manager adds "Perma-Fix is uniquely positioned in the industrial market. The wide variety of our capabilities allows us to be the one-stop solution our customers need. We serve any waste management need with a proven track record of safety and environmental compliance." 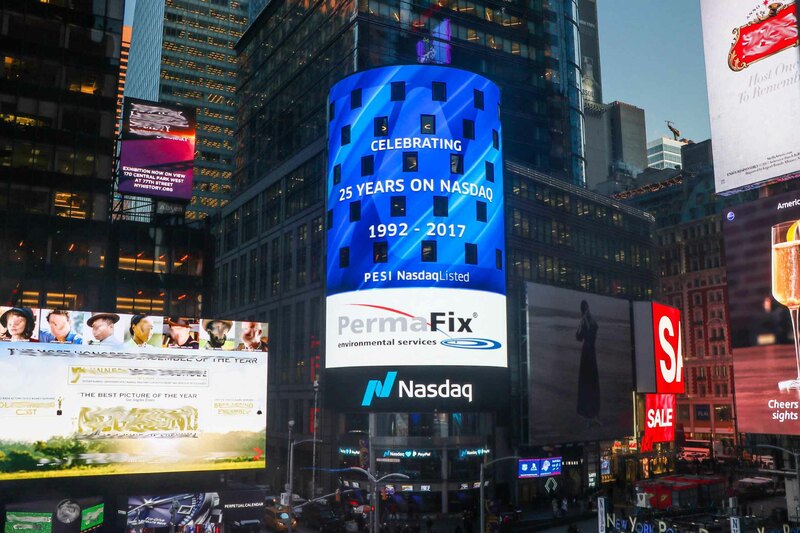 The Nasdaq tower congratulates Perma-Fix in Times Square as December 8, 2017 marked the 25th anniversary of PESI's Nasdaq listing. Workers in the mixed waste portion of the Perma-Fix Northwest plant are making progress removing legacy vacuum thermal desorption systems to make way for installation of new technologies. Current plans for this location are to house systems to manage and treat non-bulk sodium wastes to stabilize the reactive characteristics for direct disposal. Completion of these systems to support operations of new treatment capabilities will take place in Q3 2018. The Tri-City Herald reported on the possibilities of a less expensive treatment option for some of the tank waste stored at the Hanford site. 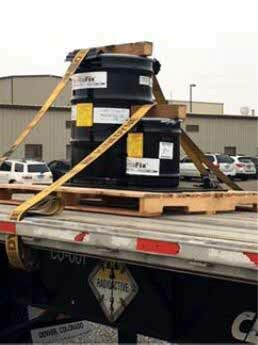 Three gallons of the tank waste were shipped to the Perma-Fix Northwest facility in Richland WA for testing. A successful test could enable DOE to potentially save a bundle on the cleanup process. Perma-Fix grabs the NORM market in the northeast U.S.
Perma-Fix Nuclear Services/Beaver, PA Technical Center - Naturally Occurring Radioactive Material (NORM) practice lead Alex Lopez, Certified Health Physicist (CHP) added a fifth new oil and gas exploration and production client for the 2017 calendar year. 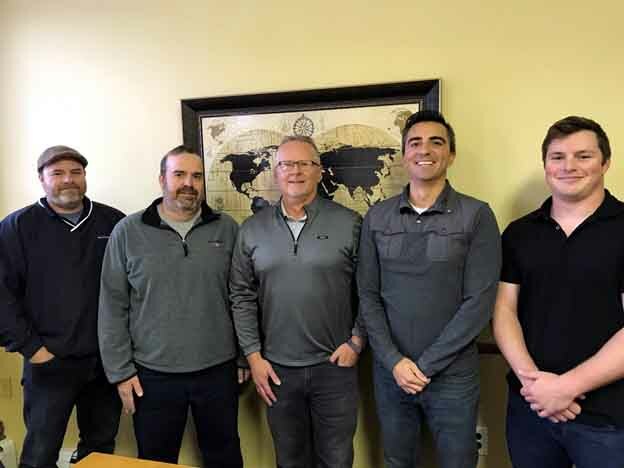 The addition of Eric Miller, CHP and Alex to the already strong health physics staff in the Beaver Office, has allowed Perma-Fix to corner the NORM market in the northeast. The technical services staff now boasts 6 CHPs. Perma-Fix provides NORM & TENORM services including regulatory compliance, worker and corporate education, transportation and disposal, employee exposure monitoring, field testing, and the development and implementation of NORM procedures and plans. Perma-Fix services oil and gas clients in all three major industry components: upstream, midstream, and downstream.